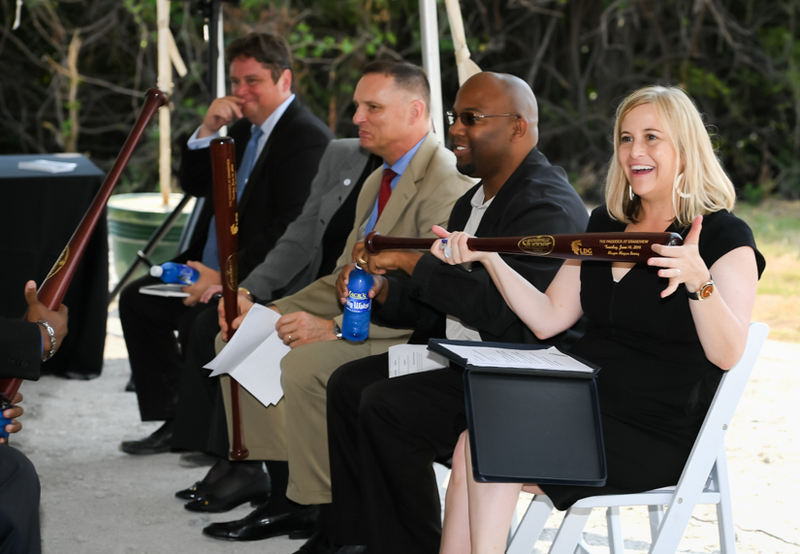 Mayor Megan Barry and other city officials were joined by representatives from MDHA and LDG Development on June 14 to break ground on the city’s newest affordable housing community, The Paddock at Grandview. This new construction development will offer 1, 2 and 3-bedroom apartment homes and is located within minutes of downtown Nashville. 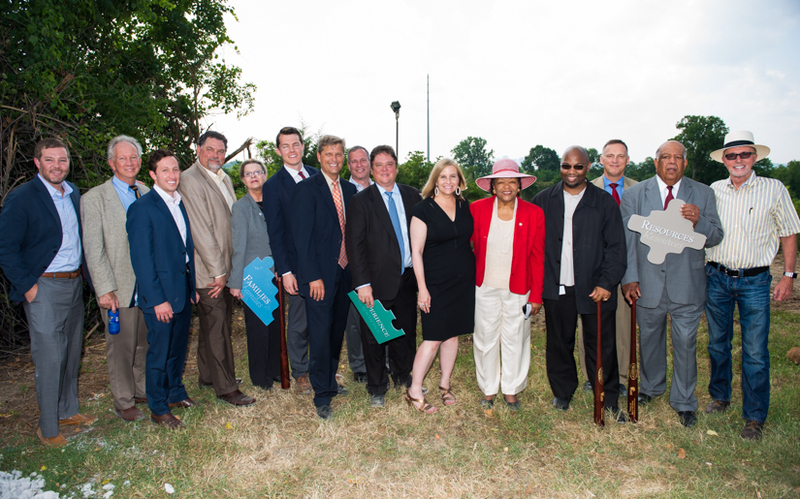 The 240-unit affordable housing project will be built on a 14-acre site on West Trinity Lane. The property will include 10 three story energy efficient residential buildings, a clubhouse, swimming pool and other amenities. Sizes of the units span from 839 – 1,100 square feet and the rents will range from $567-$835 per month. Units are reserved for families who earn up to 60 percent of the area median income, or $41,000 annually for a family of four. Financing for the project was secured using a mix of private funding, tax credits from Tennessee Housing Development Agency (THDA) and $1.7 million in HOME FUNDS from MDHA. MDHA administers these funds, awarded by the United States Housing and Urban Development (HUD) on behalf of the city of Nashville. Funds were also made available through the City’s PILOT program, or payments in lieu of taxes, which is facilitated and administered by MDHA and approved by Metro Council. The Paddock at Grandview marks the first time PILOT has been used to help fund an affordable housing development. 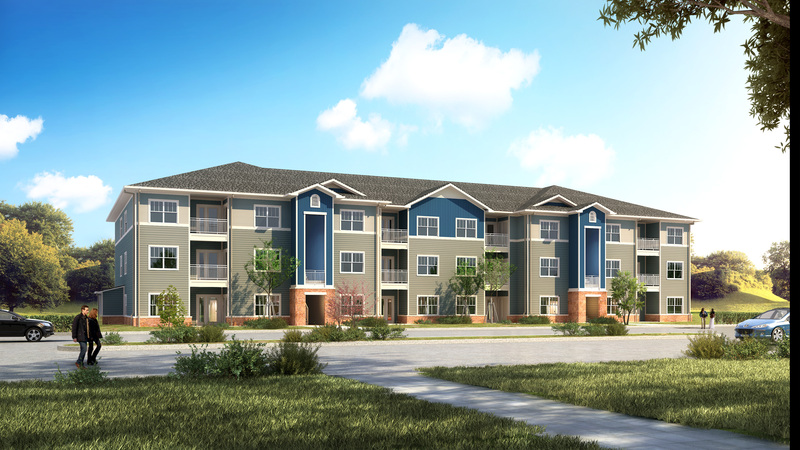 LDG Multifamily, LLC is serving as the developer for the project. Based in Louisville, Kentucky the company is one of the country’s largest affordable housing developers. In fact, since 2000, LDG has developed over 5,000 affordable housing units in cities across the country. According to Chris Dischinger, one of the founder’s and managing partners for LDG, investing in Nashville was an easy decision. Construction on the Paddock at Grandview is expected to be completed by June 2017.